It was a cold crisp January morning without a cloud in the sky. Nature was stirring from the warm rays shining and penetrating everywhere. I was in a blissful state peddling my bike along Lake Washington Blvd. Then I notice this most magnificent bird circling the sky. It floated with grace and grandeur; it was a large bald eagle. As I stopped my bike to view its majesty...I noticed the small gaggle of ducks in panic beneath its wingspan. The eagle soared above, dived, swooped. The birds quickly moved as a group to avoid its grab. The eagle again soared, swooped lower, diving at the group of ducks...snagging one with such precision, then floated away to some tall tree stand. I marveled that these ducks were hardly sitting and it appeared that those ducks that deviated from the group appeared safer, although that may have just been my vantage point as those separated ducks may have done more damage to themselves in the emotion of separation. Not sure, but it was quite a show. Gotta love the northwest. I often read Seth Godin's blog. He is brilliant and if you haven't read any of his books, start (namely the Big Moo and his latest The new big is small. His latest riff is about real estate developers (yeah, that's me - sorta). He says..." Too many real estate developers are busy building the 'all' instead of a 'mall'. He says the expression shouldn't be, 'all or nothing,' but rather 'all IS nothing." I can't agree more. Its about quality of experience rather than the quantity of the experience. Beyond this focus of quality over quantity, I'm also really focused on making my journey of life more exciting than any perceived stellar outcome (ends). Think of all those Olympic athletes upon the reaching of their goal slide quickly into depression. I think if all of us enjoyed our journey rather than its conclusion (or some false hope), we probably wouldn't need antidepressants. Don't you think? What are you doing to enjoy the journey? I'm going to have fun; building meaningful experiences for myself and others in the urban landscape. Triggers. Do you know what triggers you? I had an amazing, exclusive private session with 10 other business professionals with a "exceptional performance coach" last night. This guy was amazing. He basically spends time with professional athletes (all types) getting them to reach exceptional performance (including Shaq and Tiger). There was one exercise where he asked us to name six (6) items that trigger us. TRY IT. By Trigger...he means, sets you off. So I did it. When I got to number 5, I realized they were basically all the same. When Nikki (the coach) said he had written MY word on the board and knew it when he met me...I was shocked (because there are many words that are the basis of people's trigger). Mine? RESPECT. Other's in the room ranged from Trust, Knowing, Consideration to Understanding. What was fascinating is that these words of "trigger" set us off when we "feel" we are not getting them...AND its our strongest attribute we bring to a room that people see in us. In other words its our greatest gift AND our nemeses. Now I see the triggers and figure out ways to keep my focus for extraordinary performance. "so mom, I was talking to Brian about what our honeymoon would be like, and...."
"no mom....he didn't ask me to marry him"
"mom, sure we discussed getting married, but..."
"no...we were just thinking about the honey moon...and"
"no, mom...we were just discussing the honey moon and that he would bring xbox and be playing it non stop as I laid out on the beach." What would we do without xbox? But does anyone else think that Ms. Rice should be going to her Boss on Penslyvania Avenue to discuss Peace in the Middle East? I'm not a big sports fan. In fact I think I watch like maybe 4-5 games a year. Yeah...I have other pursuits. But the hawks (Seahawks) are the underdog. There is something about the underdog that we all love. And although Seattle ain't no Green Bay or Chicago for that matter...there is a passion for our football. I'm headed over to a friends to start the days festivities. GO HAWKS! This week I got back to business. I opened an office downtown Seattle in the ol' Maritime Building. Its a great old building next to the viaduct with starbucks around the corner and a phenomenal sushi place across the street - what more do you need, right? There are several new project fronts for me. Exciting really as there is so much capital in the market place chasing new projects. The great news is that returns are getting squashed. Why is this important? Well...I think it sets the stage for returns of a different type - enter the triple bottom line. We shall begin to look for investments that just don't pay a financial return, because these will continue to be paltry. 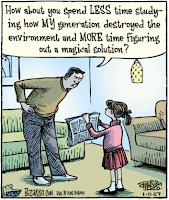 I do, however, believe that we shall make emotional investments that make a difference to the planet. I believe we are not too late to stall further changes to our environment and I've got just the project to commence Seattle's thinking. I am loving sonic swap. It stores our playlists in Itunes and allows us to swap tunes. Its a much better control mechanism for Itunes and integrats all your limewire music with itunes. Make me a friend and we can share hip tunes and be hipsters. Be sure to get the utility bonk. Seattle. Wow, I am home. Its been 18 days away and the sky is still gray, wind is still blustery, rain falling sidways. LOVE IT! I also took my first yoga class of this year after a small holiday hiatus. Post yoga, I was chilled, relaxed and seeing the world so much clearer (even with the heavy rain today) with a positive energy. Yoga is union. Many of my friends think its too woo woo (some religion different from their own). Yoga is not a religion it is a movement practice and it is purely movement that connects our body with our breath; our body with our soul; our body to the energy God has given us (or Prana or Chi as others may call it). Sure, yoga has been a traditional body language for Hindus and Buddist to nurish their soul; and Foie Gras and fermented grapes were a French tradition for nurishing the pallete and the body. Yeah...so I don't think there is anything wrong with Foie Gras either...shoot me! Back to Yoga...well, today I was able to do my first headstand away from the wall...AND a fully extended back bend on tippy toes and finger tips (wow). Its great to be home. Today was clear and cold in the grand town of San Francisco (my last day before heading north). I did some email work early in the day, climbed aboard my bike and peddled for the tallest hill surrounding the city. Yes, it was twin peaks day as I find I need to climb every couple of days. Boy it is a beast. Upon reaching the top...three asian tour buses were located at the top and with the flash of the paparazzi, I suddenly realized I was a piece of wonder to these white clothed, camera happy experience seekers. Well kids...I don't think I represent the typical San Franciscan (they wouldn't be caught dead climbing an average gradient of 9% in 50 degree weather with 35mph winds). Maybe that's why they were taking pictures? If you ever find yourself in Sausilito, California just north of the Golden Gate Bridge in Marin County...pay a visit to Sushi Ran. 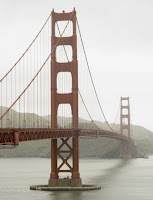 The fog lifted gradually on this first day of 2007 to reveal an amazing icon and work of art that was our gateway to Marin County - the Golden Gate Bridge. I biked from the grand ol' city of San Francisco to Tiburon with my buddy Melissa. Since it was New Year's day, the ferry wasn't running so I was forced to ride back (5 hours in the saddle today) yet Mel was forced to taxi it back (sore knee). Upon returning....there were several California Highway Patrolmen standing on foot at the entry and exit to the bridge. I learned there was an apparent man jumping from the bridge on this first day of the new year. I just read this fascinating article in the New Yorker, that every 2 weeks there is an attempted suicide. Over 1000 people have taken their life on this bridge since its inception in 1937 with approximately 25 people surviving the jump. The article was an erie read after crossing this piece of steel twice today; quite an icon. I was asked just hours before the strike of midnight..."what resolutions do you have this year?" It's not something I really ponder much at the start of a new year, as I like to think that I live with intention every day. My response? I said...."To make this year and all the years remarkable." Remarkable? Yes, remarkable! That is to say....That someone including myself sits back and says, "wow, your life...you...or the people you surround yourself with...are REMARKABLE!" So far so good. Happy New Year to you! 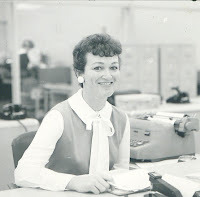 Here is mom circa 1969 working at the Los Angeles Teacher's Credit Union. Sweet, professional and sharp as a newly purchased global knife.